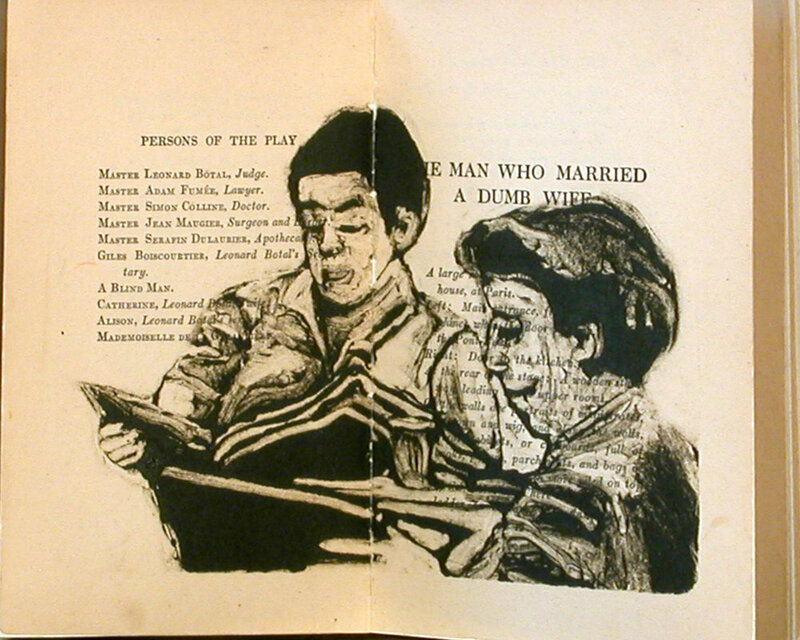 My interest in combining monotypes, books, and film started from four sources: art mentor Leigh Hyams' pen and ink books; William Kentridge's drawings on book pages; French film director Agnes Varda's Beaches of Agnes; and a college art assignment to study film scenes for painting compositions. 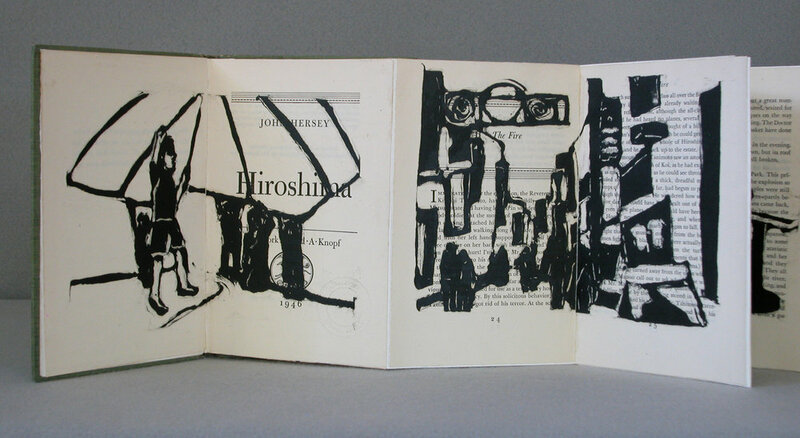 I use vintage books that will relate in size, format and text with the film images. Some of my completed books include: four films by Agnes Varda: Cleo 5 to 7, The Vagabond, The Gleaners, and La Bonheur; Silence by John Cage; Saint Joan by George Bernard Shaw; Hiroshima by John Hersey; Mrs. Dalloway by Virginia Woolf and La Bete Humaine by Emil Zola. By books are represented by 23 Sandy Gallery, www.23Sandy.com and are in the collections of Stanford University, University Of Washington, Multnomah County Library John Wilson Room Special Collections and other library collections. My books are also in private collections.